The following is a guest post from Carlynn Adeline. As a mom of two girls, Carlynn is well aware of how expensive children’s clothing can be. After the birth of her second daughter, she decided to make a change to improve family finances by making use of hand-me-downs and following her own advice as laid out in this article. Carlynn hopes that she can help others keep family household spending down. Recovering from a shopping addiction is an impressive feat that is easier said than done. It takes an unquantifiable amount of strength to limit our impulsivity and strictly adhere to a monthly budget. The road to intelligent spending may be a long one with many obstacles, yet it’s definitely worth it when you manage to rack up savings and see amazing returns in the long run. Kids’ clothing can be a big expense for parents. But it’s not just individuals who have difficulty avoiding excessive expenditures. The struggle to keep costs down exists on a grander scale for parents. While they don’t want to give in to impulse buys, they also want to provide the best for their children, but their bank accounts often suffer in the process. In an article posted on Today’s Parent, Kansas economist John Ward reveals that the all-in cost of raising a child from birth to 18 years of age in the United States rounds up to $700,000. No, that statistic doesn’t mean that you need to be a millionaire to have a second child, but it does exhibit the never-ending battle to cut down on costs. In reality, there are plenty of ways to minimize unnecessary spending, many of which may not appear obvious to parents. One area in which families can minimize expenses is with clothing. Even if they stick to the labels they can afford, some parents still manage to spend $600 or more in the weeks leading up to the start of each school year. To be fair, some of that cash spent goes toward office supplies and backpacks, but a huge portion is spent on back-to-school clothing. According to Time magazine, families are dropping $630.36 on average during this time period, of which 93% of that expenditure is for new clothes. Back-to-school isn’t the only time when parents spend a lot of money on clothing for their kids. LiveStrong explains that parents spend around 6% of the family income every month on clothing, which doesn’t seem like a large percentage but can be quite significant for lower income families. You can save money on your kids’ clothing (image: sheknows.com). So how can we avoid such drastic expenses? While little girls look adorable in tutus, function should be your top priority when it comes to shopping for your kids’ clothes. One strategy that will really help you save money is to shop for gender-neutral clothing that can be shared among your little ones. Other than versatility, you’ll also want to look for garments that will last wash after wash. This includes dresses and other items that are “made from the finest cotton, finished to the highest quality and gently pre-washed to ensure there is no color run or shrinkage,” a promise guaranteed by unisex clothing company Tootsa MacGinty, who specializes in wonderful dresses and a variety of children’s knitwear. But they aren’t the only retailers trying to make an impression on the industry with this sort of efficient and creative solution; many household brands are beginning to follow suit. Ethical children’s clothing brand Frugi is all about using organic cotton and recycled fibers to make reversible garments that can be worn in two ways instead of one, while Little Green Radicals produces a wide range of organic basics that can easily be paired with the items your kids already own. The expression, “if it ain’t broke, don’t fix it,” is perfect in this context. If the clothes that your kids have outgrown are still in good condition, there’s no reason for you to get rid of them. Hand them down to your younger ones, or give them to family or friends who have just entered parenthood. They can always return the favor if you end up having another child in the future. For more people to benefit from the joys of hand-me-downs, put together a clothing swap like you would for your friends. Money Crashers suggests that each participant bring 10 to 15 pre-loved pieces that are still wearable to the swap. This way, your kids and the other children in your neighborhood can enjoy a new wardrobe without spending a dime. Do you have any other money-saving tips for children’s clothes? Feel free to share them in the comments section! You can also post any questions you may have about the information Carlynn has outlined in this post. A big thanks to Carlynn for sharing her tips and resources with all of us! Since I don’t have children, I have never touched upon the topic of children’s clothing in my posts. 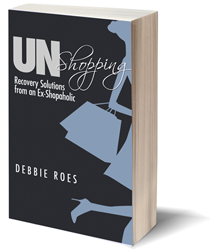 I appreciate Carlynn tackling a topic that may be of interest to many “Recovering Shopaholic” readers. This entry was posted in Clothing Quality & Sustainability, Guest Posts, Shopping Tips. Bookmark the permalink. These are some interesting ideas, thanks for sharing! I only have one little guy, so longevity doesn’t really matter for us. Currently my strategy is to thrift everything except outerwear, underwear, socks and shoes. I buy him seven complete outfits of clothes that can easily mix and match. This typically lasts him a season (or half a year). Once the season is over I put clothes that can accommodate a few inches of growth away, and shop for whichever pieces he needs for the upcoming season. In the winter he can get away with fewer bottoms as he always wears snow pants outside, but in the summer he gets much messier, so we have 7 bottoms for that season. Anything that he has outgrown but is still in good condition gets donated back to the thrift store. The best tip I heard is to have your kids slightly later (like 1 year) after your friends do and revel in the hand me downs. My brothers started having kids at the same time and it worked out where when one family was done with the strollers/walkers etc, they would give it to the other family until they were done and then the first family got it again with the second child, and then back to the second family for their second child. Babys R Us has lots of sales and if you have kids, it’s worth it to get on the mailing list. You can walk out with tons of clothes at a couple dollars each, or at least that’s what my friend does. On the other hand, the Babies R Us recommendation encourages shopping, which isn’t the point of this blog. Well, all I can say is, hand me downs are the best. No worries, Jane! We all have to shop sometimes and shopping in and of itself is not a BAD thing. The point of this blog is not to discourage shopping. Rather, it’s to learn to shop more deliberately, consciously, and moderately. If moms go to the Babies R Us sales with a list and buy what their children most need, then it’s money – and time – well spent (as long as they don’t exceed their budgets, of course). 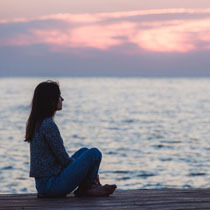 In many cases, learning moderation is more difficult than purely abstaining from shopping, but it’s what we will all need to do eventually, even if we opt to do a shopping hiatus for a period of time. Granted, I’ve only had one year of experience here with my daughter, but I buy almost all of her clothes from resale shops and mom to Mom sales. I look for pants and sweaters in the fall/winter and dresses and leggings in the spring/summer that will mix and match. Then I wait for a good Old Navy sale to fill the holes. As she’s growing less rapidly now, I also take advantage of end of season sales for the next year. I know she’ll be wearing 2T next winter so I have been picking some things here and there that are heavily discounted. Anything more than that is a gift or bought with their own money. For example, my oldest got Vans for Christmas, my youngest got a maxi skirt for her birthday. I used to fall into buying all three of them new sneakers when just one needed a pair. With a list and preparation I can let one of them know why she cannot have a new t-shirt even if her sister is getting three new tops. Although I have three girls, I stopped enforcing hand me downs since about age 3-4 (other than winter clothes that get worn 1-2 weeks a year if we travel to a cold climate) since they are no longer toddlers. (I was the youngest sister and hated hand me downs.) The hand me downs are shown as an option to the younger girls before shopping and get donated if the youngest says “no way” to them. They can each wear what they want and favorites often get worn through due to the weekly wear. That’s such a great way to deal with handmedowns, then they become a bonus for the younger girls rather than an obligation. Well done! I agree, Sarah! Since I was the oldest, I never had to wear hand-me-downs, but I definitely had friends who didn’t appreciate them. The way SC deals with dressing her kids could be a good lesson for many. Also, have a clear idea of how many of each type of item you need to have in your kid’s closet (like SC mentions) so you don’t overbuy. Buy with some kind of color scheme in mind — no need to be strict about it, but I tend to go with darker colors and solids on the bottom, and brighter colors with print or embellishment for tops. That maximizes the mix-and-match potential. Buy what your kid actually wears, not what you wish they would wear or think would look adorable on them. I only have one kid, but I think even if I had more I would not rely much on handing down clothes from one kid to another once they reach elementary school age. Clothes are more likely to get worn out or stained (playground mud/pen ink/paint from art class) because kids are growing more slowly and wear their clothes for longer. I prefer to keep clothes cheap enough that I don’t have to worry about them getting ruined! I have twins, so I need a lot of kids’ clothes and there’s no handing down from one sibling to another. If you’re in a larger area, check and see if there’s a local parents of multiples club (there are several in the DC area). I used to belong to one and we held a huge consignment sale twice a year. I got great deals on infant/toddler clothes and other equipment, and earned a lot of my money back by reselling my own items. I second the comment above, buy what your kid actually wears. They’re ten now, and they HATE shopping with a passion so I show them their options online. They completely reject jeans, khakis, and anything scratchy, so I buy a big box of Old Navy activewear a couple of times a year when there’a a good sale. I scour thrift stores for cheap replacement hoodies because they lose them on a regular basis. Don’t buy cheap shoes. It took some trial and error, but we found that they each prefer a different brand. I buy them on sale and they wear them until there are holes in the soles. I managed to spend very little when my children were babies and toddlers but as they grow it become exceedingly challenging. I’d love a post on building a capsule wardrobe for a third grade girl that allows for weather and loving purple one day and hating it the next. That coupled with misplaced coats, hats, and gloves has led me to spend more the past few years on her in particular, but also her 5-yr-old sister with a different body type and preferences (no jeans or non-sensitive fabrics). One year I took a capsule shopping list at back to school time and bought a great mix and match waredrobe only to have some pieces never worn and others lost by the end of September. And by being careful I don’t have hand me downs for the little one since clothes get holes or otherwise ruined unless my big one does not really wear the item. And now my confession that I channeled my love of shopping into kids clothes so a lost coat leads to guilt free ordering online or matching Easter dresses. 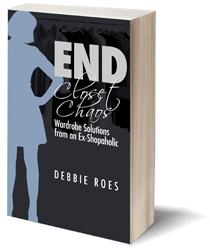 This blog has helped my waredrobe tremendously but I have yet to find anything to help shopaholic moms. That would be a very challenging post to write, Audrey, but what you write exemplifies some of the challenges of shopping for and dressing kids. I have a niece who just turned 7 and she’s very opinionated about her clothes, such at no one shops for her without her there and she always dresses herself, even if that means wearing the same thing two or three days in a row. I wish I felt better qualified to write about kids’ clothes, but I DO welcome guest posts on the topic from anyone who wants to contribute in that way. There SHOULD be a blog for shopaholic moms, as I’m sure it’s a big problem. Perhaps I will try to curate some good posts out there on the topic of shopping for and dressing kids and do it as a useful links round-up. I’m sure you’re not alone in your issues. I’m glad you have found my blog helpful with at least some of your shopping and wardrobe concerns. Thanks so much to all who have shared their feedback here! The tips that you have offered are excellent and I’m sure they will be helpful to those moms who are struggling to shop smartly for their kids’ clothes. I’m glad Carlynn reached out to me about writing this guest post, as I have never addressed topics related to kids on the blog before since I don’t have children of my own. But this post elicited some excellent discussion which I’m sure will be helpful to many moms out there who will read this post and the follow-on comments. I appreciate all of your contributions!